What the Pros Say: Will Rate Cuts Work? Around the world, financial markets are reacting to coordinated interest rate cuts. The Federal Reserve led a global interest rate cut Wednesday along with the central banks of the UK, European Union, Switzerland, Sweden, and Canada. Stock index futures turned to positive from negative on Wall Street and stocks in Europe pared earlier losses after the move, but doubts remained over whether it would help the ongoing crisis in the financial sector and the weakening global economy. Here's a round up of what business professionals have been saying about the rate cut on CNBC. "It just gives you a sense that they keep running out of bullets if we have to use a bullet a day just to keep us from going down. We've got to get to next week and we've got to get that $700 billion package and start buying something that has the essence of maybe turning this around," James Paulsen chief investment strategist at Wells Capital Management, told CNBC. "We have in effect passed the tipping point in terms of the financial crisis," Don Putnam, managing partner of Grail Partners, said after the rate cuts. "We have really serious global recessionary issues that are working their way into the market," he said, adding that the economic issues will take 24 to 36 months to be resolved. Putnam also said that the Dow Jones Industrial Average could fall to the mid-8,000 level. "Don't look to the stock market first, there's going to be a violent reaction. The rate cuts around the world came for economic reasons, everything they've done up until yesterday or this morning was done for liquidity reasons," Kevin Ferry from Cronus Futures Management told CNBC. "This is really a way to get the other central banks off the hook and get their rates down, what were they doing at 5 and 4 percent, they're not even on the planet," Ferry added. What happened this morning was exactly what was needed, not because the U.S. needed it so much, but because we needed to give (European Central Bank President) Trichet a little bit of political cover and to draw him into a group activity, Robert McTeer, former Federal Reserve Bank of Dallas president, said on the global coordinated rate cuts that took place. McTeer believes that the next step to take in order to combat the financial turmoil is to suspend mark-to-market accounting. 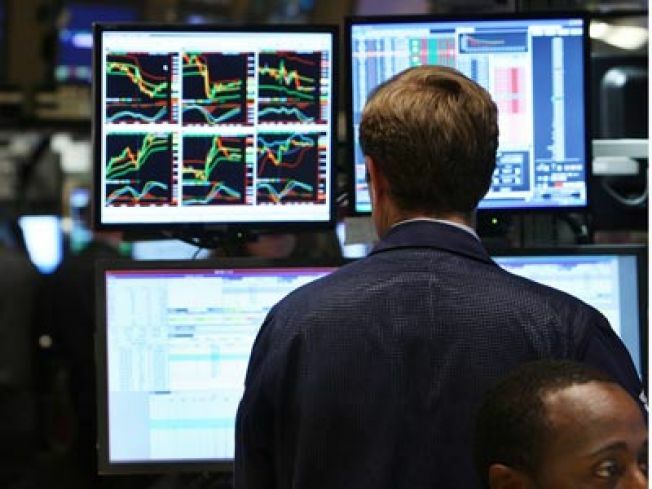 "The market's in a state of great confusion and fear and I don't think we can sit here and rationalize rationally," McTeer said on how the markets will react to the rate cuts. "Surely lowering the Fed funds rate from 5-1/2 down to 1-1/2 makes a difference. Surely all the injection of liquidity makes a difference even though it's mostly been neutralized or sterilized with open-market operations," McTeer told CNBC. "They (the Federal Reserve) need to allow the money supply and monetary aggregates to grow at 3/4/5 percent a year, and to the extent that these injections of capital throws them off course, they need to make adjustments for that in their open-market operations," he added.